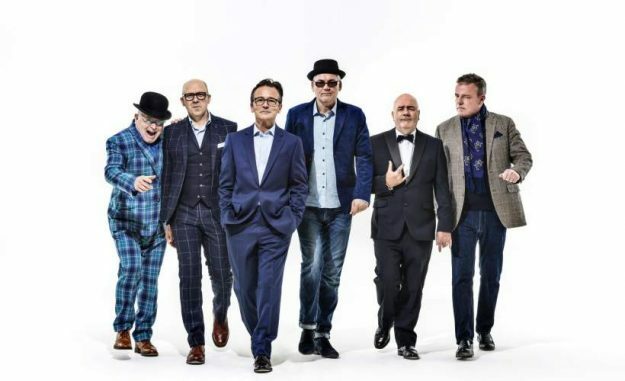 MADNESS have announced a pair of major London shows in honour of their 40th Anniversary. The shows represent just a small part of the North London ska pioneers’ upswing in renewed activity. On 15 June, the band take to the stage in the grounds of the stately home Kenwood House in Hampstead, North London, a mere stone’s throw from the stamping ground of their youth. As befits the genteel surroundings, they’ll be joined for this show by a full orchestra. Then on 26 August, their one-day festival House Of Common returns to Clapham Common, where they’ll be joined by a full supporting cast of acts which will be announced in the coming weeks. Tickets for both shows go on sale this Wednesday 30 January at 9.00am here. The shows will be followed by the publication of a new autobiography, Before We Was We: The Making Of Madness, which sees the individual band members telling their stories up to their breakthrough year of 1979. Published by Virgin Books on 26 September, it’s available to pre-order here. As usual, the band return to Butlin’s Minehead at the end of November for their annual House Of Fun weekender. Tickets are available here. ‹ GETCHA CAT CLOTHES ON!